Important information about PEMF and cancer that people should know. Humans need air, sunlight, water, and food to survive. However, we also require what is known as natural magnetic-signals which are derived from the earth. These signals are essential for internal regulations in the body and that’s why PEMF or pulsed electromagnetic field therapy is a great treatment for people with cancer. The magnetic field of the earth has dramatically reduced over the past 400 years and are further distorted by the technological lifestyles that we lead. Things such as satellite signals, broadcast stations, electrical appliances, drainage pipes and asphalt all interfere with these signals. The human body makes use of these fields for generating cellular energy. This increase in energy is essential for helping the body to regain balance and more importantly to heal. Magnetic fields that are healthy are important when it comes to supporting effective immune responses and health for the overall human body. Cancer is classified as one of the systematic diseases, which means treating only the symptoms will not assist in healing the body. This means that diseased environments of the tissues, cells and the entire body should be addressed as well as changed in order to promote true healing. 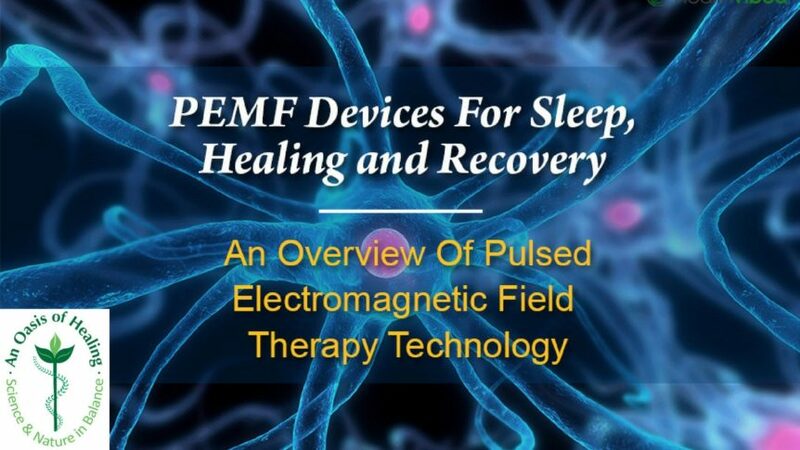 For this reason, some experts suggest that PEMF and cancer (pulsed electromagnetic therapy) is an ideal combination to induce energy into the patient’s body in order to activate much-needed healing processes. All cells, chemicals, and atoms produce what is known as electromagnetic fields. Each organ inside the human body creates its own unique bio-electromagnetic fields. All 70 trillion-cells inside the body also communicate through electromagnetic frequencies. When these electromagnetic activities cease in the body so to will life. When increasing the electromagnetic energy in the body we can promote healing and extend and expand life. PEMF and cancer is a treatment that is regarded as a healing protocol that offers a number of positive results. Darkfield Microscopy has gone onto prove that clustering that occurs in the red blood cells known as the erythrocytes are cleared when using PEMF. Tests that show the before results and the after results when using PEMF has shown increases in healthy and active white blood cells along with red blood cells that move freely. This results in improvements in the blood’s viscosity, this improves blood flow, increases oxygen levels as well as improves the functioning of the white blood cells. PEMF is regarded as one the holistic and alternative approaches for the treatment of degenerative diseases such as cancer. It is one of the many treatments and therapies we use as part of our comprehensive cancer care program.